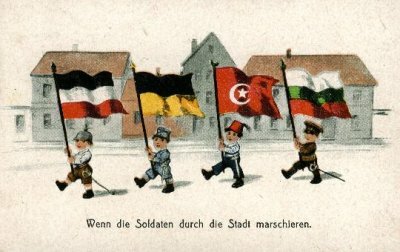 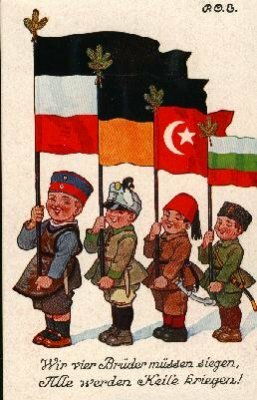 Of all the great WWI propaganda I've seen, these post-cards, courtesy of Chris Trapani and Esin Pektas, are certainly the most endearing. 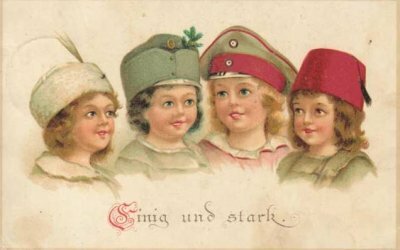 Perhaps not as adorable as the Mini Mehter kids, they are way less ominous than most of the images to be found at GermanPostalHistory.com, where you can purchase your own original. 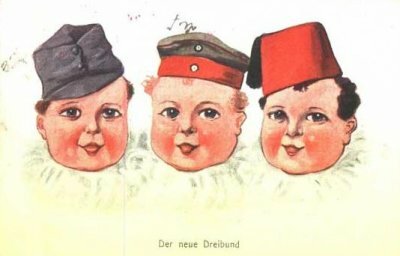 If anyone knows anything more about these let us know. 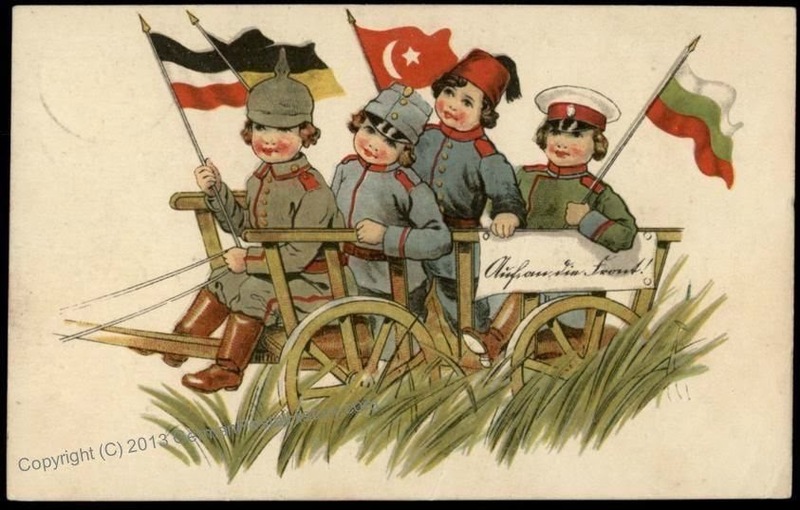 Germany, needless to say, is the one driving the wagon and giving Turkey an encouraging pat on the back in the second card. 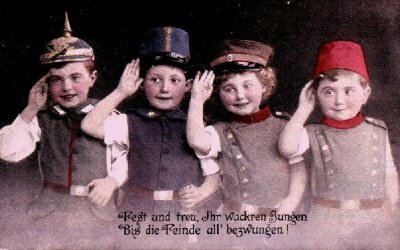 If nothing else, though, these picture make me regret abandoning my kickstarter campaign to develop a line of child-sized Pickelhaube. The problem, as I recall, was that we couldn't decide whether to market them under the slogan "Baby Bismarck" or "Otto von Baby." 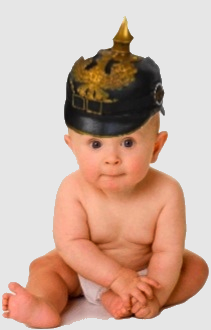 Anyways, if you want to see more martial babies just read on after the break. 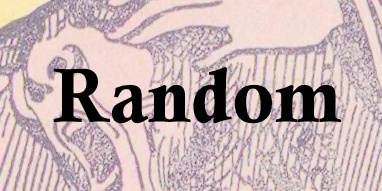 Apparently this is an entire genre. 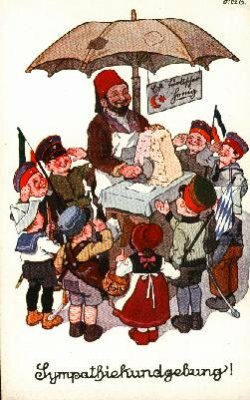 Seriously, does anyone know what the story is?